"Where Quality is first Priority"
Wholesale Grower of fine landscape plants, flowers, shrubs and trees. After almost 18 years at our High Star Location in Houston we decided to move our business to our farm in Waller County, 10 miles to the north of I 10. 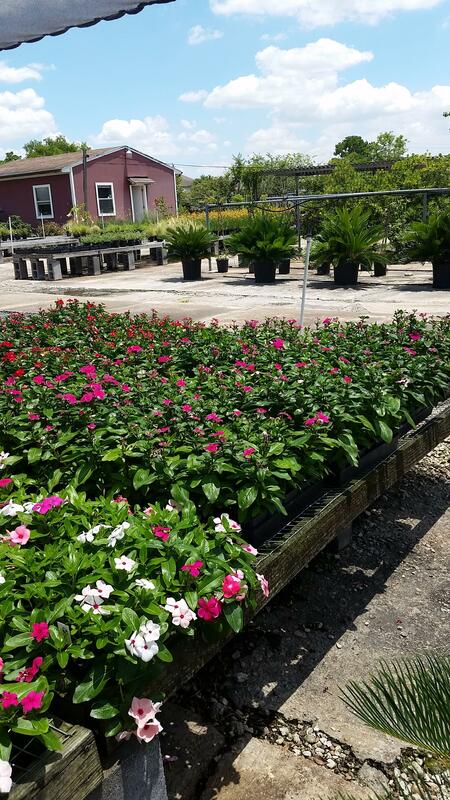 We will continue to be of service to you, we will have shrubbery, groundcovers, bedding plants and ornamental Grasses for you at any time. All we need is an advance notice of 24 hours and we will do our best to accommodate you. If some plant material is not available in our area, it might take us a few more days. Our large variety of trees will also always be available to you from our farm. We sincerely hope you will stay with Brays Bayou Nursery and we can serve you in the future with all your landscaping needs.